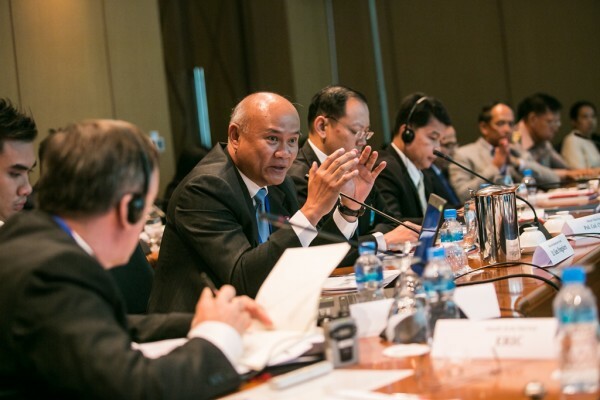 As many as 32 representatives from 22 national agencies and departments involved in small arms and light weapons (SALW) control in Thailand met with international experts on 9-10 March 2016 in Bangkok to learn more about and discuss the implementation requirements of the United Nations Programme of Action to Prevent, Combat and Eradicate the Illicit Trade in Small Arms and Light Weapons in All Its Aspects (PoA) and the Arms Trade Treaty (ATT). 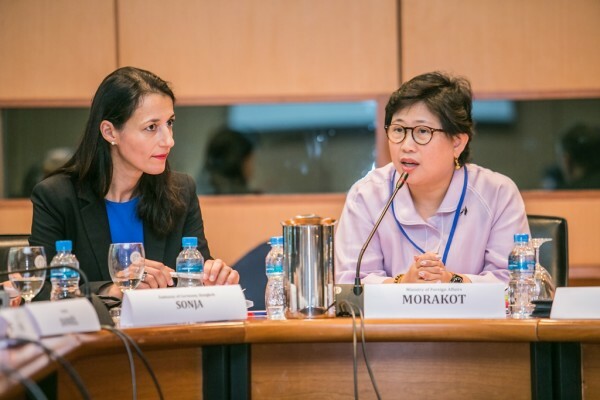 This workshop was organized by UNRCPD, in cooperation with the Government of Thailand, and made possible with financial support from the Government of Germany. Representatives of the National Security Council, Royal Thai Police, and Ministry of the Interior provided detailed information on Thailand’s experience in SALW control as well as current challenges faced in this field. These presentations initiated the discussion on how existing international agreements and newly developed UN mechanisms and initiatives could be utilized to address these challenges. International experts from UNODA’s Conventional Arms Branch and UNRCPD, the United Nations Institute for Disarmament Research (UNIDIR), and the Small Arms Survey facilitated the discussion through presentations, offering specific recommendations and practical examples about how to strengthen and enhance national capacity to control SALW. 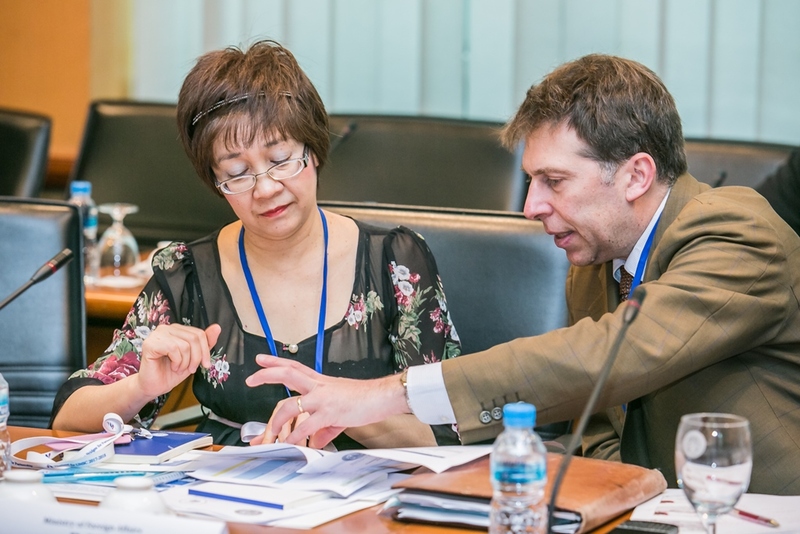 The experts explained the provisions of the PoA and ATT as well as other relevant global instruments, emphasizing tools to assist in formulating a national action plan in SALW control and further refining national coordination mechanisms. 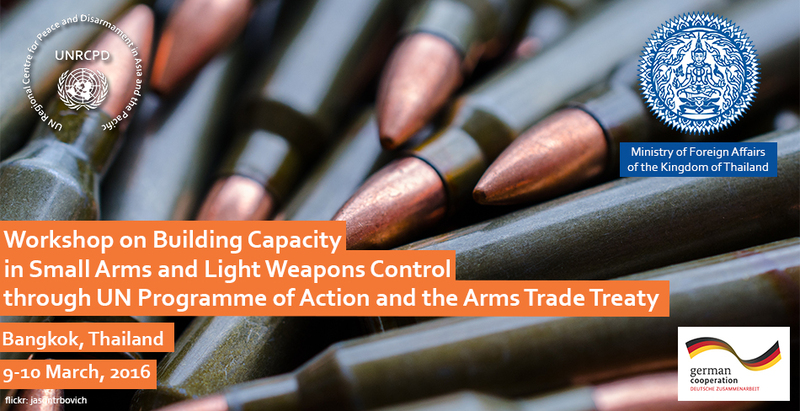 Furthermore, the significance of reporting to the UN Register of Conventional Arms and ratifying the ATT in order to strengthen SALW control was examined. Following the presentations of the international experts, the participants engaged in further dialogue on practical issues and concerns. 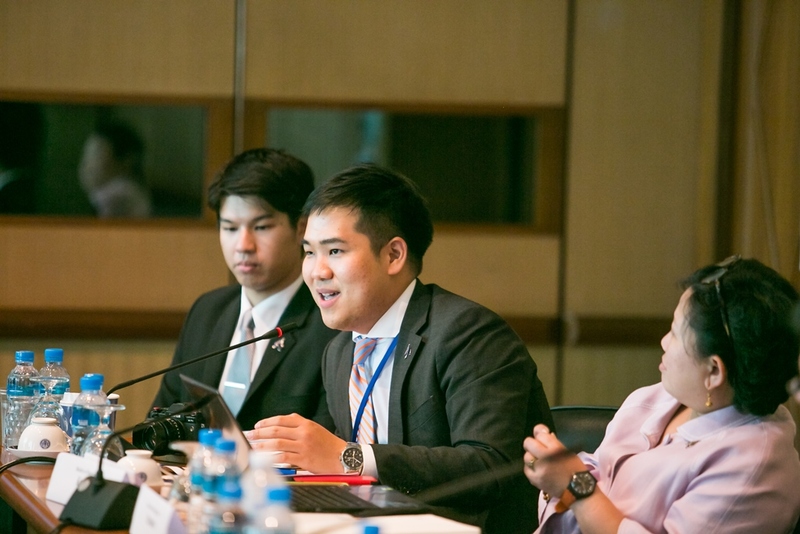 The national officials identified and proposed specific areas of possible future assistance and cooperation with the UNRCPD, including establishing a computerized record-keeping system of SALW, supporting awareness of international arms control norms and regulations among Thailand’s armed forces, and promoting increased cooperation and coordination among national agencies of ASEAN countries dealing with SALW control as well as between these agencies and ASEANAPOL.